Are you a “by the seat of the pants” writer or do you have detailed outline before you start to write? If there’s a person who is allergic to outlines, it’s me! I’ve tried to use outlines to organize my thoughts, but once I start writing, they always fly out the window so I don’t bother with them anymore. My characters run the show. I pick up a pen and they do what they want to. Your stories often have deeper meanings behind all the action. What are some of the issues and themes you like to address in your writing? Something I address in all my books is the need to go below the surface when making judgments. People and situations are both very complex and we can make serious mistakes if we don’t examine them carefully. In every story characters either deal with the assumptions of others, or have their own radically challenged. More specifically, I often analyze homeschooling as a subculture, because it is one that many people have mistaken assumptions about. I portray homeschooled young people dealing with these misunderstandings. This also gives me a chance to put in a lot of realistic humor and detail, which I love to do! I examine Christian issues as well, often in a subtle rather than direct way. In Facets of Fantasy I use personal relationships and allegory to explore several key themes of Christian thought, and in portions of American Homeschooler church social life is shown–and yes, frequently satirized. What inspires your characters and storylines the most? Real life? Other works of fiction? I’d say real life is my inspiration for the characters. Sometimes I create a character who personifies an idea, but mostly my people come out of observation of life. I am often influenced in plot creation by older works of fiction, if I can find a good device that hasn’t been used in awhile. I read extensively in older authors, particularly from the eighteenth and early nineteenth century. Is there anything you absolutely need when you write? Quiet….quiet….and more quiet. I have to be uninterrupted, no TV, no people coming in and out. I’m always overdosing on music because it helps to drown out noise and create that bubble. Music also inspires me and keeps my plot ideas flowing. 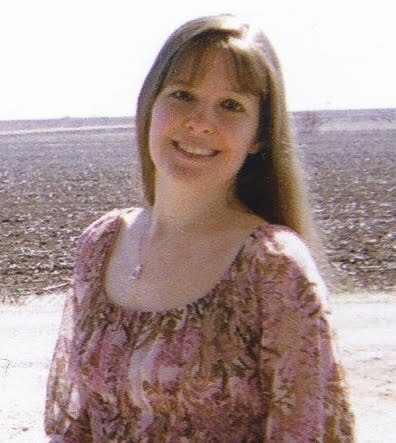 My taste is varied–Celtic, classical dance pieces, opera and foreign pop. What song/playlist are you currently overdosing on? Right now I’m listening to: Makassar and Si Cara by Al Bano and Romina Power; The Lion, the Witch and the Wardrobe Soundtrack; Sus Ojos se Cerraron by Kendra Springer; Come by Namie Amuro; Dierdre of the Sorrows by Mychael Danna; Ch’ella mi Creda by Giacomo Puccini; Sleeping Beauty Finale by Tchaikovsky; and Every Heart by BoA. Can you cook for yourself, or would you live on microwave meals if left on your own? I can definitely cook for myself! I’ve been preparing nightly dinners for my family for ten years. Most of it is from scratch too–I’m great with piecrust. I live on a farm, and we have an orchard and garden, so I know how to make jam, cook fresh corn in season, and do everything that can possibly be done with zucchini. Are you a “cozy in a sweaters” Wintery girl or a “happy in sandals and sunglasses” Summer girl? In Texas you’ve got to be a Summer girl! I can dress up when I have to, but I don’t even wear shoes most days. And I don’t like being curled up indoors at all. Winter depresses me. With such wide open skies and fields around, it is wonderful to be outdoors. If you see a girl writing on a porch in blue jeans and bare feet, that’s probably me. Actually, I like my name a lot! It’s a really nice coincidence that I’ve got an alliterative name by birthright. If I had to choose a pen name….well….maybe the name of someone already famous. People might be more likely to give my book a chance! I highly recommend giving Sarah’s work a chance! Want to know more? Read more about Sarah and her work at her website and blog. 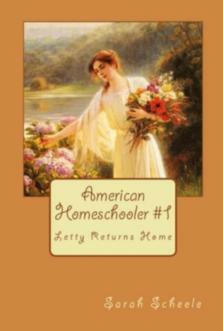 And don’t forget to stop by her Face Book page to start reading American Homeschooler today for free! –Facet’s of Fantasy is now available in Traditional Print and eBook. Check it out! Next > The Prolific Blogger and Creative Writer awards. Hey, I'm not the only one? Thanks Robyn and Jennifer for making me feel better about my hatred of outlines! :D Emily, you're allergic to spelling?? LOL I kind of am too. I have so many writing allergies, it's amazing I got into this profession at all!